measures 3 inches by 2.25 inches and is perfect for hats, clothes, packs or nailed on your door! 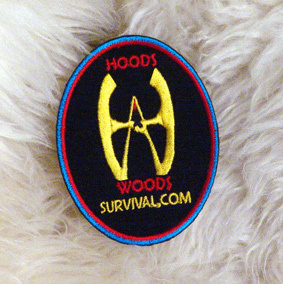 It?s made for hard wear and identifies you as one of the elite members of the Hoods Woods gang. The patch features an iron on backing so it's easy to attach it to your jacket, pack, hat etc.